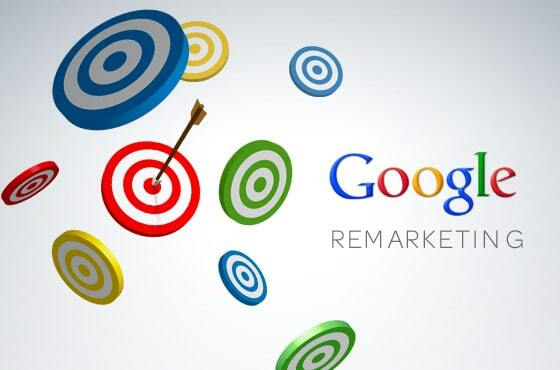 How Does Google Remarketing Work? Retargeting works in the same way. Someone was in your marketing funnel but did not get right through. You then encourage them by getting your brand in front of them and incentivizing them with an offer to complete the outcome you desire. Remarketing ads with Google will appear wherever Google ads are available. More and more businesses are popping up everyday. With the trend towards digital advertising; competition for each customer is increasing. The benefit of retargeting is the person has already shown interest in your product by being in your sales funnel. Getting people into yours is every marketers goal yet people can leave a sales funnel for any number of reasons. Brand recognition is tougher than ever in the market. If someone has been on your website they will be able to recognise your brand when it next appears on their screen they can associate with it which is a massive advantage over your competitors..
Google is constantly bringing out new strategies to provide online solutions to increasing sales. Remarketing with Google works in combination with Google Ads (formerly known as Google AdWords). To get started you simply place a piece of ‘remarketing’ code on every page of your website. This code places a cookie on each persons computer who visits your website..
Next you create a list based on factors you want to use. You may want to create a list of people who visited the buy now page of your website. Thanks to the cookie, a list of all the computers that took the desired action will be forming 24/7. From this list, you create a campaign targeting this list. Creating a remarketing campaign is a lot like Google AdWords. You can action a campaign quickly however you need to consider your industry, customer attitudes, your goal, budget and more in order to create an optimised campaign. Note: To begin a campaign your list size must be at least 100 cookies. This is where the fun starts, deciding which segments of your audience you want to retarget to and those that don’t. You could make the decision based on a page in the check out process, a thank you page, a product page or you can even target based on pages they did not visit. You can potentially have hundreds of URL’s therefore it is best to break this down in writing. List the URL’s you want to target in excel and name the audience for each. Create different combinations from the list above. This could be people who read a certain blog post then clicked on the call to action at the bottom of the blog. You will now be able to activate your campaign with a goal in mind. The big dot com companies such as Google and Facebook have been dealing with public backlash in terms of breaching privacy in 2014 (and will continue into 2015). It can be a little bit intrusive seeing an advertisement for a website you were on just minutes ago. The biggest Google remarketing faux pas was from the luxury brand Prada. Targeting housewives with no shortage of money, they pounded those who left cookies on their site all day. They went to far however and endured the public retaliated. Ensuring the balance between creating maximum brand awareness without going over the top is a fine line. There is no fixed formula , each industry is different. As long as you consider your audiences point of view and target accordingly potential for retargeting to increase sales is huge. Google is constantly tinkering with their products in a bid to provide the most value to benefit users (and increase their profit of course). Remarketing was initiated in 2010, the improvements have been massive in the last five years. Remarketing campaigns with Google have worked for thousands of brands already and are set to be play a role for years to come. What is your opinion on remarketing? Do you have a success story?